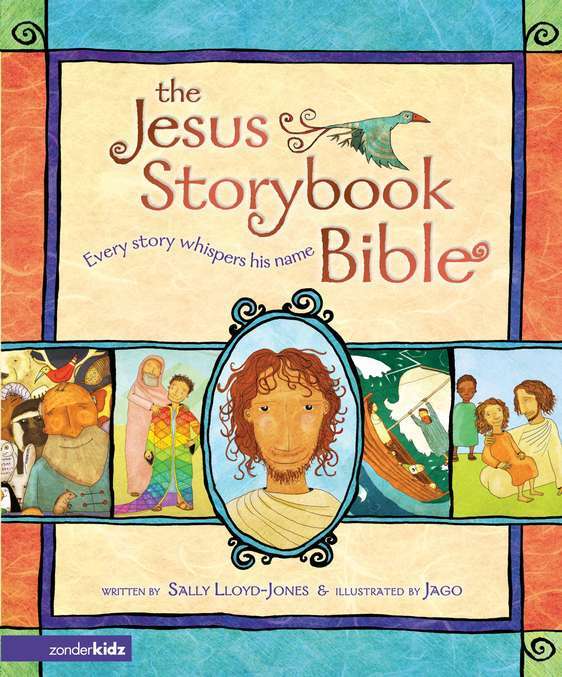 Recently I have been re-reading The Jesus Storybook Bible, by Sally Lloyd-Jones, to my daughters. As we’ve been making our way through it time and again I have been struck by the power of this book to tell the story of scripture, the story of Jesus. Here are a a few thoughts on why this book is so significant. The subtitle of the book is Every Story Whispers His Name. Sally Lloyd-Jones does a magnificent job of drawing these whispers to the surface in every story as the book makes its way through the entirety of Scripture. They aren’t forced fits either theologically or rhetorically. They fit perfectly into the stories themselves and masterfully draw the mind and heart to Jesus. Lloyd-Jones expression for God’s covenant love – “a Never Stopping, Never Giving Up, Unbreaking, Always and Forever Love” – is as moving a phrase as you will find in a book and it speaks to the hearts of children and adults alike. Anyone who has known a “stopping, giving up, broken, sometimes and for a bit love” can hold fast to this. Many children’s Bible stories need editing, and I mean content editing, as I read them. They dumb down big truths, gloss over important themes, and generally misrepresent the reality of scripture as both a personal book and revelation of an eternal God. This book does none of the above. There is an ideal balance between making the human characters personable and relateable but not making them the center of the story. Lloyd-Jones masterfully tells of the people and the events while always moving the story toward Jesus. But at no point are the characters hollow or do they feel like mere vehicles. Somehow Lloyd-Jones has created a work that is enormously fun to read and captures the right mood for every story – some joyous and some somber. This is a literary work, one of those rare representations of a story that feels right. The illustrations are unique, fun, simple beautiful, and not distracting. There are none of those annoying children’s book elements that so distract the average preschool such as bunnies or kitties by Jesus’ manger. This truly is a book for all ages. Obviously children will benefit from it, but this is curriculum material for college and seminary students who get so caught up in the technicalities of the Bible that they forget these beautiful truths about Jesus. It models a level of scholarship and writing that far surpass many technical theologies I’ve read. It could be read in every room of a church to the benefit of the hearers from the pulpit to the nursery. And it’s fun!. How many theology books can that be said of?